Professor Stockmeyer has taught Equity & Remedies at Cooley since 1977 and at two other law schools during academic sabbaticals. He is excited to be teaching the course in Cooley’s 2013 Australia-New Zealand Foreign Study Program using the “problem method.” Here he shares his thoughts on why he prefers that way of teaching. The mantra of a Remedies course is “no wrong without a remedy.” Some Remedies courses are organized remedy-by-remedy (“Today we will discuss punitive damages.”). In my view, a more practice-oriented approach is to study Remedies wrong-by-wrong (“Today we will discuss remedies for fraud.”). That way students have an opportunity to compare and contrast the remedies available for a particular wrong (tort, breach of contract, misdealing, etc.). I have also come to prefer the problem method of instruction for Remedies. Instead of briefing cases and reciting them in class, students master legal doctrine by studying assigned readings in a hornbook. Then, and most importantly, they attempt to apply what they have learned by analyzing problems similar to those that a law firm associate might be asked to prepare a memo on. Class discussion consists of a collaborative, brainstorming approach to resolving the problems. I think that the problem method has several advantages over the traditional case-recitation and lecture methods of teaching. First, it is practice-oriented. Clients have problems; lawyers research the law to help resolve them. Second, it is contemporary. A problem-based approach suits the learning styles of today’s students. Third, it is engaging. Students in second- and third-year doctrinal courses can be difficult to motivate. The problem method encourages active participation. If you think that you would enjoy studying Equity & Remedies by the problem method, locate your passport and enroll in Cooley’s 2013 Foreign Studies Program in Australia/New Zealand. Meanwhile, the course TWEN home page is up. View it at http://lawschool.westlaw.com/manage/homepage.aspx?openhomepage=y&courseid=25710 (TWEN sign-on required). 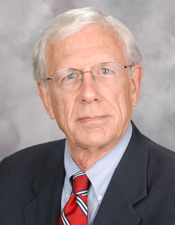 For more information on Professor Stockmeyer’s approach to teaching Equity & Remedies, see his 2010 article “An Open Letter to a Colleague Preparing to Teach Remedies” in the Thomas M. Cooley Journal of Practical and Clinical Law, available at http://ssrn.com/abstract=1743652. Our Equity & Remedies class has now met a total of five times and I am pleased with the results so far. Recitations are improving as students get accustomed to the Problem Method. And I have the impression that student focus has shifted from learning what’s necessary to pass an exam to learning what’s necessary to properly advise a client.